Following the successful completion of your Apprentice Doctor Course, you might be wondering what your next step will be. For many of you, the obvious answer is joining a volunteer medical program at a nearby hospital. Doing volunteer services in the USA, UK or Europe is often a bland experience with students looking at medical procedures at a distance and assisting with cleaning, porter and courier tasks. I bet you would love to get a real close-up experience that will make even medical students envious! The Apprentice Corporation can connect you with an organization that specializes in sending students aged 16+ from all over the world to work in Hospitals in a number of global locations. You will be given an opportunity to get real medical experience, learn about healthcare in the developing world and witness a wide variety of clinical cases. Perhaps most importantly you will see what it feels like to work as a medical professional. All the placements are primarily medically focused, with students spending Mon – Fri in the Hospitals, shadowing doctors in Surgery, Obstetrics, Pediatrics, Internal Medicine and various other disciplines. The doctors also take time to give clinical teaching sessions to students on various topics such as prevalent diseases in the country and how they are treated. Your stay will be full of interesting experiences which will boost your credibility and make a big difference in your application to medical school. The organisation that arranges this will provide you with tremendous support in arranging all aspects of your placement, accommodation and your meals, for the duration of your time away. 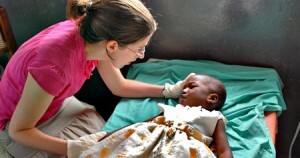 Prepare yourself for the ultimate hospital shadowing experience an African setting! Zambia: The world famous Victoria Falls, and sunset wild-life cruses on the mighty Zambezi river the wild-life safaris. Tanzania: It may perhaps be a destination that you are unfamiliar with but the East African country is a heavyweight when it comes to entertainment. Jungle trekking, weekend safaris, visits to the formidable Kilimanjaro, ancient cave paintings, tribal villages and a lazy weekend spent on the beach, it’s hard to think of what Tanzania hasn’t got. Hospital placement in Tanzania constantly gets rave reviews from students. You will see some traditional East African medicine as well as more modern western medicine practiced here, it can be a challenging environment and it’s certainly a Hospital experience that will give you strong comparisons to make with the medical facilities back home. A hospital placement overseas often reaffirms a student’s desire to study medicine and many of our Apprentice Doctor students return from this type of medical experiences with a renewed enthusiasm to persevere on the road of becoming a great medical professional! YES, I would love to receive more information about hospital volunteer programs! Can you help someone get into school who has no idea of what he is doing? I suggest you click on the link below. The ‘For Future Doctors’ course and kit is the perfect starting point for anyone passionate about becoming a medical professional. The course can be completed online for academic credit.